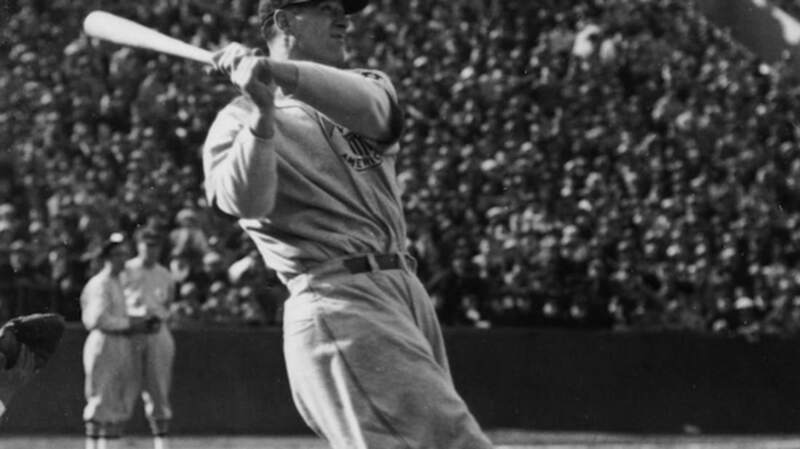 On June 19, 1939, the doctors at the Mayo Clinic in Minnesota diagnosed Lou Gehrig with amyotrophic lateral sclerosis (ALS). It was the beloved Yankees first baseman's 36th birthday. The prognosis was unequivocal: a rapid decline and a life expectancy of just three more years. Gehrig didn't make it that long, succumbing to the disease that would eventually bear his name on June 2, 1941. But during those final two years of his life, Gehrig felt, at least once, glimmers of optimism and even hope that maybe the inevitable would not come to pass. 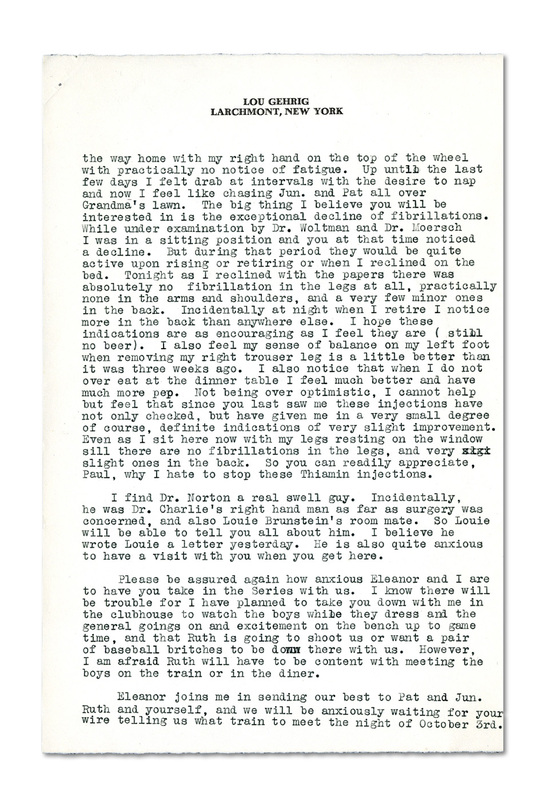 "As for a report on my condition (and I hope it is not my imagination), I definitely feel that the Thiamin injections are working nothing short of miracles," Gehrig wrote in a September 13, 1939 letter to Dr. Paul O'Leary, his point of contact at the Mayo Clinic and close friend during his final stage of life. The letter, which is still in the possession of the O'Leary family, is currently being auctioned off by SCP Auctions, with just over a day remaining. 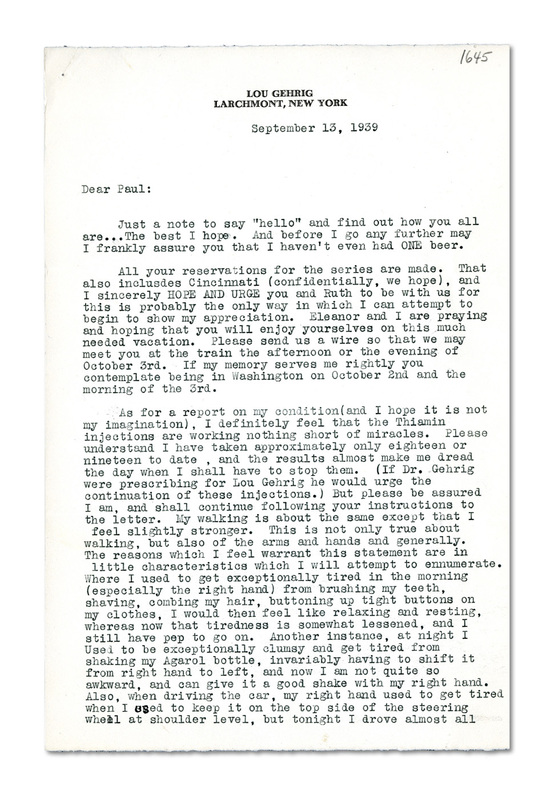 The whole letter is worth a read, but there are certainly some highlights: "And before I go any further," the opening paragraph says, "may I frankly assure you that I haven't even had ONE beer." The rueful sentiment is echoed in a later parenthetical, but most of the letter consists of a detailed account of how the minor physical tasks of day-to-day life have been eased by the medicine prescribed. "I hope these indications are as encouraging as I feel they are," Gehrig concluded of the "exceptional decline of fibrillations" and increased motor skills. The letter also contains pleasantries that show Gehrig's resilient good spirits and utmost gratitude to the Mayo Clinc. He arranged for Dr. and Mrs. O'Leary to attend the World Series—where Gehrig's Yankees would go on to sweep the Cincinnati Reds—as his personal guests, and even offers to procure tickets for some of the other doctors. Gehrig jokes that he "know[s] there will be trouble" as he intends to exclude Ruth O'Leary from his plans to take the Doctor down into the clubhouse. 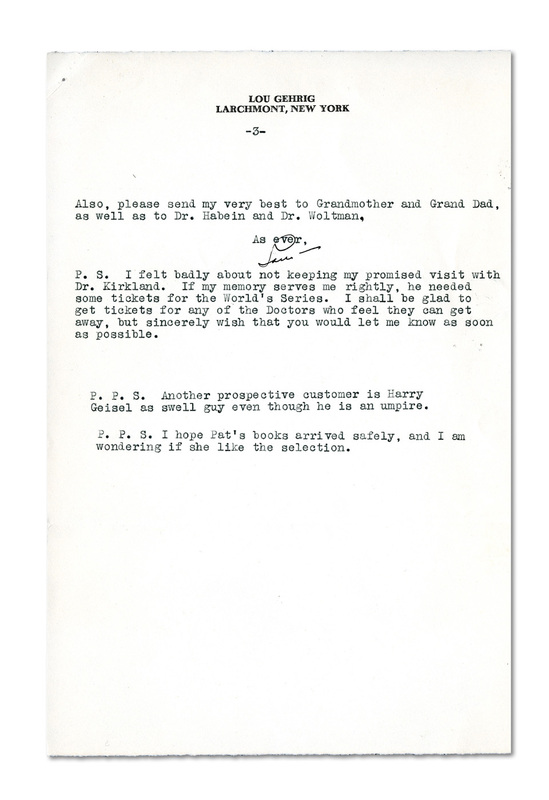 The letter concludes with a series of convivial postscripts, including a claim that one Harry Geisel is a "swell guy even though he is an umpire," and Gehrig's own signature—one of his last.